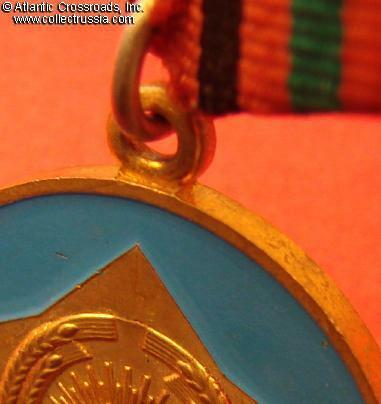 Medal for Service in the Armed Forces, 2nd class (for 15 Years of Service), 1987-1992. 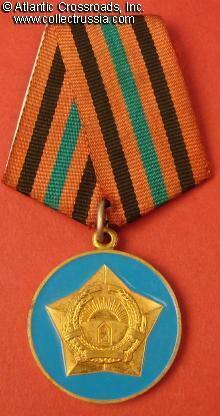 Brass, sky blue enamel. 32mm wide. 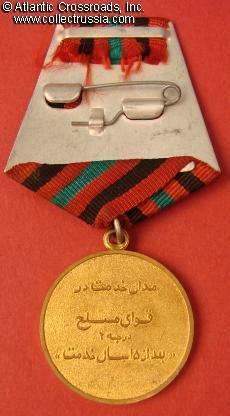 Reverse is inscribed in Dari "Medal of Service in the Armed Forces, 2nd Class, after 15 Years' Service". Excellent condition. 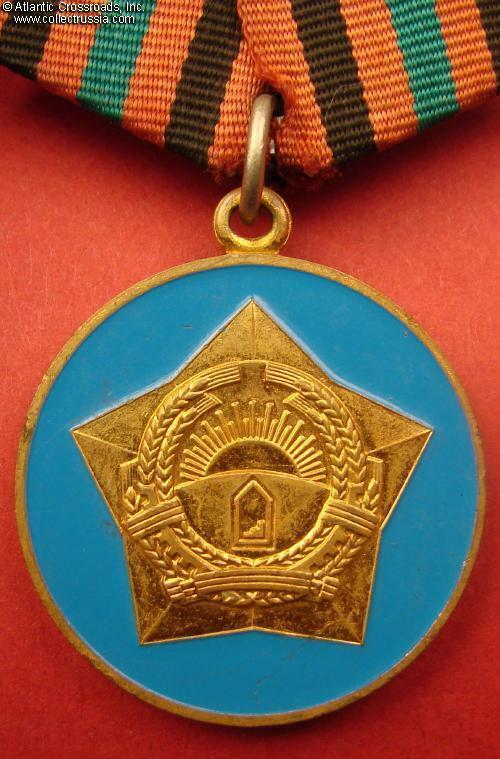 The sky blue enamel is perfect, the gilt is completely intact and bright on both sides. Comes with original suspension and slightly faded but otherwise well- preserved generic ribbon of red, black and green. 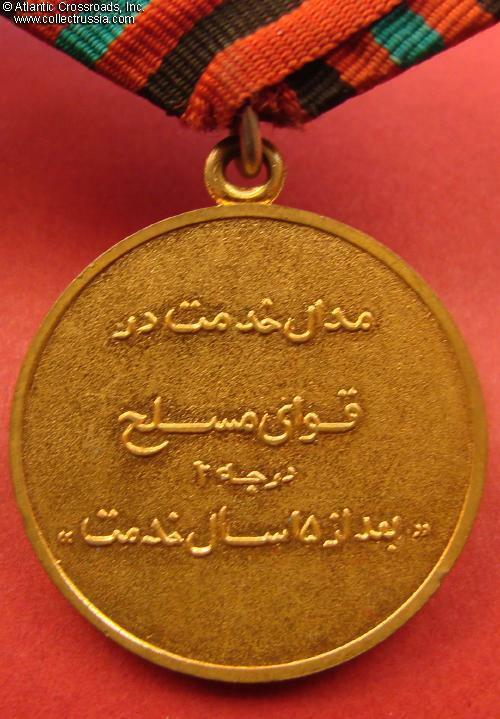 For unknown reasons, this and the 3rd class Medal (for 10 Years) are the hardest for find among the Afghan Army long service series.